There’s no guarantee that these hotels are “greener” than the hotel down the street from them, but at least they’ve taken a step or two in their journey toward greater sustainability. 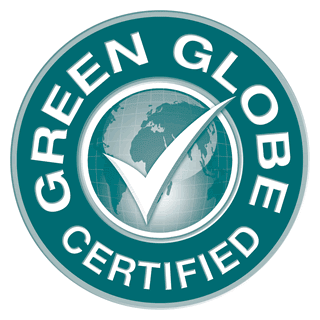 If you’d like to find a hotel that is truly committed to sustainability through third party auditing and verification, look for a Green Globe Certified Hotel and check out the criteria they follow to earn their place among the most sustainable hotels in the world. If you have another site you’d like to add to the list, or if you have a tip on how to green meetings, please comment on this posting. To learn more about sustainable meetings and events, check out the Green Meetings Industry Council, an organization committed to education and activities related to planning better meetings. Want to see an example of a green hotel? Check out this Hospitality World Network article about the Aria.